The Cambridge Ghost - a Memory of Aldershot. See my memory regarding this wonderful old bit of Victorian architecture, linked to the 1891 photograph of the Cambridge. In my day, 1969, it was mostly full of civilian patients although there was a fair sprinkling of families, car accident victims and some military having tatoos removed (one having 'hate' removed from his knuckles before enlisting in the police force). Others I recall from my ward (Ward 7) on the ground floor, had been e.g. victims of petroleum fires in depots with severely burnt arms (as walking wounded, we had to feed them and take them to the bathroom etc) and on one occasion a large number of paratroopers injured during a large scale parachute exercise over the nearby training area. Most were casualties of twisted lines, deflated chutes, mid-air and on the ground collisions etc. One never hears about the numbers of casualties in those kind of intensive exercises, although I think nowadays with the many rounds of Defence cuts, I think only one battalion at a time actually has parachutes! Treatment was always excellent and the QA and RAMC male and female nurses were first class, always cheerful, wise-cracking and efficient. I never heard of MRSA in those days, when military Matrons were firmly in charge! A memory shared by James Ritchie on Nov 23rd, 2007. Send James Ritchie a message. 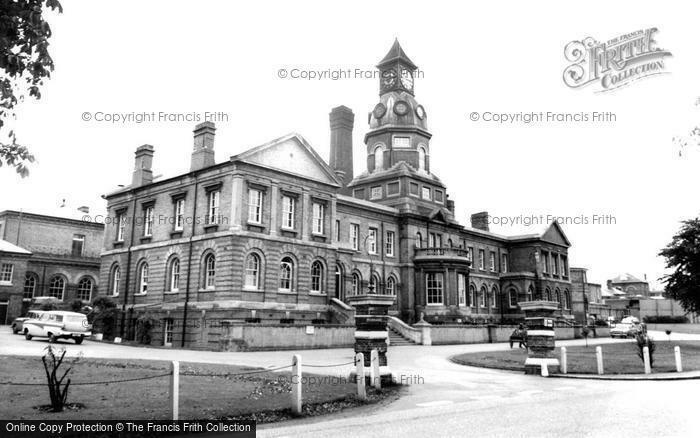 My daughter became a QARANC Captain and was stationed in the old Mess attached to the Cambridge Hospital which was by then derelict. One day she sneaked me in and we wandered around the empty wards, still with radio equipment etc, and operating theatres etc. The ceilings were coming down and debris littered the floor - such a sad sight as I had sometimes been a patient there and both my children were born in the Louise Margaret next door.